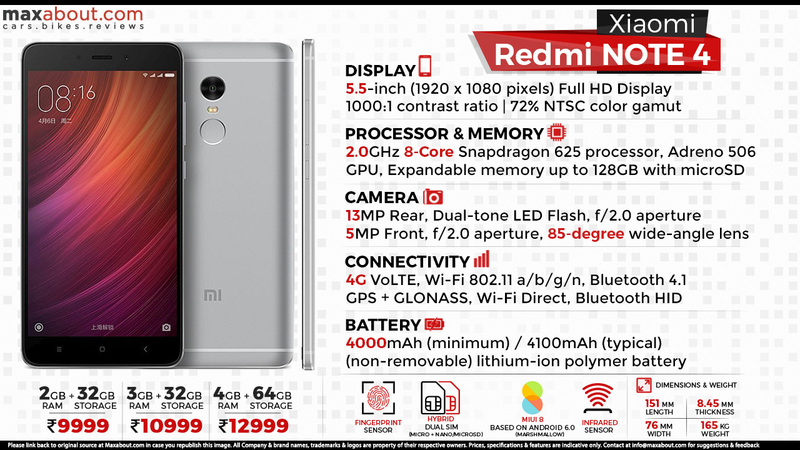 Xiaomi has finally launched its affordable flagship smartphone, Redmi Note 4 in India for a starting price of INR 9,999. The phone comes with metal uni-body design and supports Gold and Dark Grey as its base shades. It will even get a Matt Black shade around the third week of February. The version that costs INR 9,999 comes with 2GB of RAM and 32GB internal storage. Redmi Note 4 is also available with 3GB/32GB and 4GB/64GB variants, priced at INR 10,999 and INR 12,999 respectively. Read More about Xiaomi Redmi Note 4.